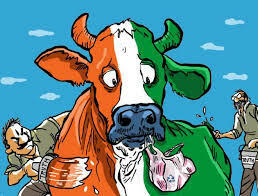 A suspected cow smuggler hailing from Haryana was killed in a late-night encounter with police in the Alwar district of Rajasthan, the latest incident of violence in the region over claims of cattle smuggling. The incident took place in the Janta Colony area on Wednesday night. A group of five to seven people were seen transporting cows in a “stolen” mini truck. When police tried to stop them, they opened fire at the policemen. “The policemen informed the control room following which separate teams tried to intercept the vehicle at SMD circle, Kali Mori overbridge, and college circle but the accused opened fire and fled towards the Maujpur House road,” Superintendent of Police of Alwar Rahul Prakash said. The police opened retaliatory fire, and one person identified as Talim, a 22-year- old, was killed. The other people fled the spot. Efforts are on to locate them, Prakash said.